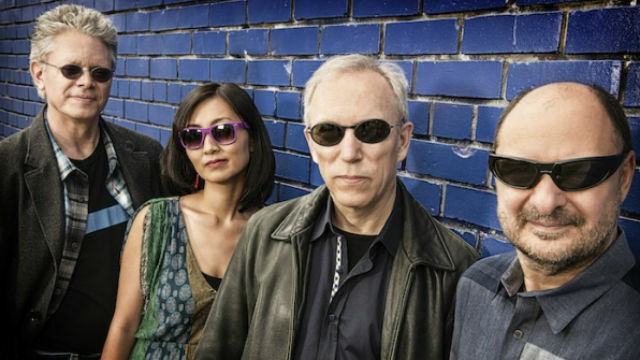 World-renowned experimental musicians the Kronos Quartet will preform “My Lai Lullaby” in Oceanside to mark the 50th anniversary of the Vietnam War atrocity. The San Francisco-based quartet, David Harrington (violin), John Sherba (violin), Hank Dutt (viola), and Sunny Yang (cello), will perform the 2013 opera at MiraCosta College‘s Oceanside Campus Hall on Saturday, March 10, at 7:30 p.m.
My Lai Lullaby was composed by Stanford University’s Jonathan Berger in remembrance of the massacre 50 years ago of more than 500 Vietnamese civilians by American troops in the village of My Lai on March 16, 1968. The opera is the story of Chief Warrant Officer Hugh Thompson, flying helicopter reconnaissance on that morning, who happened upon the slaughter and landed his craft three times, trying to disrupt the shooting and disperse the troops. He reported the massacre to little effect only to be rewarded three decades later with the Soldier’s Medal for heroism. Tickets for MiraCosta students and staff are $20 and general admission is $25.